Step 1 Soak the tomatillos in cold water for a few minutes, then peel and discard the husks. Place the tomatillos, chile, cilantro and a pinch of salt in a blender and puree until smooth. Add enough water so that there are 3 cups of liquid and quickly blend together. Set aside. In Recipes-list.com we have selected the most viewed recipes from category - Sides Vegetarian . Enjoy the best recipes specially selected for you! 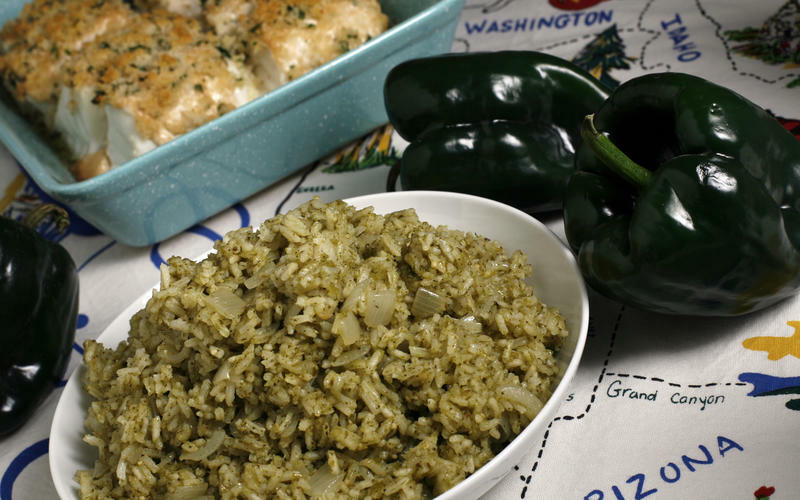 Arroz con chile poblano is the right choice that will satisfy all your claims.